The floating islands can be enormous in size having populations of several hundred in some villages. 2,000 people live there. Predating the Incas, the Uros Indians were forced from the main land centuries ago by warring tribes and sought shelter on the lake. Their houses and boats, as well as the islands, are made from reed. 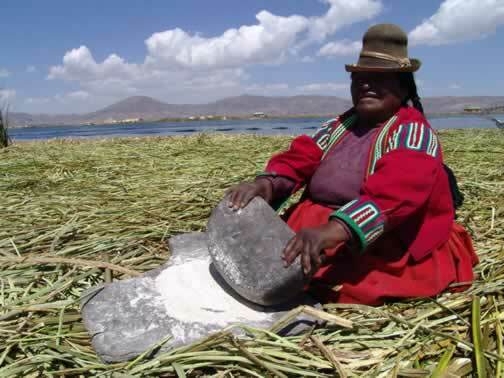 This woman was grinding flour for the evening meal.